Boosting your income through a side business gives you increased security and career flexibility. But, keeping track of expenses and filing a Schedule C is a pain. 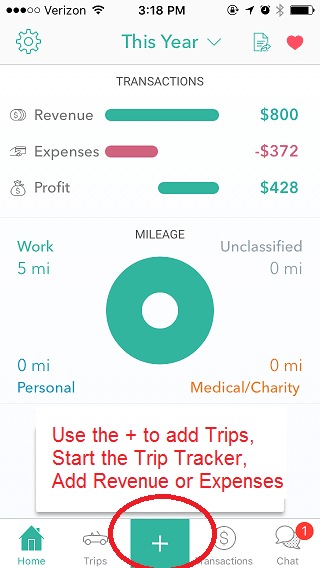 If you’re looking for a simple app that allows you to track revenue, expenses, and even deductible mileage, then consider using Everlance. Everlance tracks small business expenses and revenues, and it generates tax prep reports. It features a robust mileage tracker for anyone who needs to track their mileage. If you operate a solo business, Everlance could become your new favorite app. Everlance helps freelancers track their business expenses and revenues. The app makes it easy to fill out a Schedule C for your taxes. The expense tracker that allows you to photograph receipts. 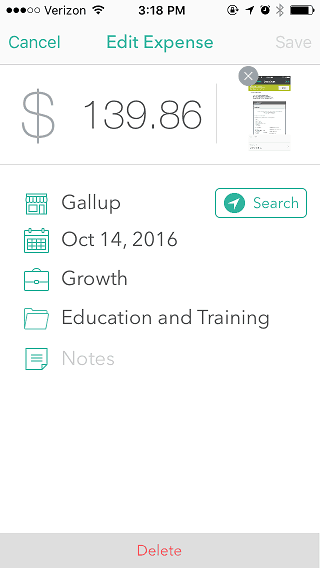 You can use the app’s mileage tracker to track, categorize and deduct work related mileage. And Everlance allows you to track revenue from your phone. Everlance simplifies the paperwork burden for people who run straightforward businesses. These are the most important features. Everlance’s trip tracker uses GPS to record the miles you drive. You can categorize trips as work or personal with a quick swipe. Everlance users rave about this feature. It is perfect for Uber or Lyft drivers as well as photographers, home care assistants and other people who drive for their business. Start by pressing the + sign. 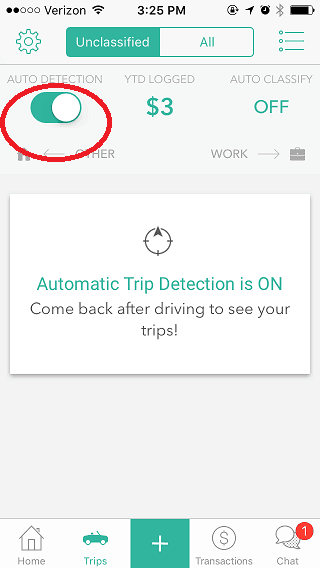 You can press Start Tracker to track trips. If you forget to start the tracker for a work related trip you can retroactively enter the trip using “+” and “Trip” and typing in your starting and finishing destination. The app calculates mileage for the trip. 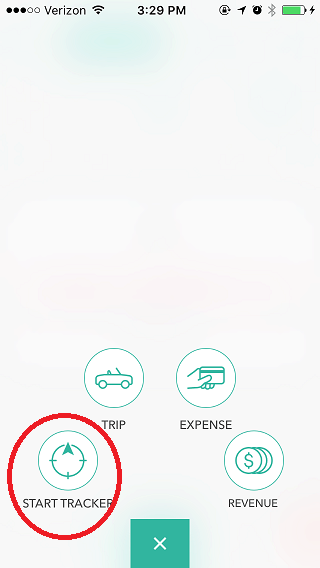 The Circled Button Means You can Automatically track trips as long as your phone is in your car. The premium version costs $8 per month (when billed monthly) or $60 per year (if you pay annually). You can get $20 off your subscription if you enter the code TCI20 on the Everlance.com website. Tracking expenses and holding onto receipts is a pain for most solo business operators. Everlance solves that problem by allowing you to photograph receipts and categorize expenses from your phone. Everlance stores data in the cloud, and you can access the stored photos at any time. It’s easy to track expenses through Everlance. Unfortunately, you cannot import credit card statements into Everlance which would be a nice feature for some businesses. The expense tracker is robust enough for solo business operators, but not for more complex businesses. The revenue tracking feature is Everlance’s Achilles Heel. Entering and categorizing revenue from multiple sources is a hassle if you receive income electronically. Since you can’t import bank statements, you have to manually enter the data, or leave it blank. The revenue feature seems to be designed with “giggers” in mind. If you receive pay right after you work, you’ll appreciate the ability to record and categorize income as soon as you receive it. Everlance’s true power comes from its tax reporting. The reports give you a CVS file with your expenses, mileage, revenue and image files. The reports make it easy to fill out a Schedule C for tax filing. You can filter the CVS reports in Excel, or you can upgrade to Premium to filter the reports in app. Premium users can also choose a PDF report form. Premium customers receive special access to Customer Service Reps. You can chat with reps directly in the app. I used this feature a few times when I wanted to delete expenses or do other less obvious procedures. The reps returned my chatboxes within a minute or two, and their responses answered my questions. If you want to become an Everlance poweruser, the Premium upgrade is worthwhile for the special access to service reps.
Everlance offers a free 10 day Premium trial, but many of the features are available in their free version. Everlance Premium features special customer service access, PDF reports, and automatic trip tracking. Premium costs $8 per month or $60 annually. You can apply a $20 credit to your account by signing up at Everlance.com using the code TCI20. Most solo business owners will benefit from using Everlance. If you drive for your business, the Premium automatic mileage tracker is an excellent feature that will pay for itself in time saved and trips caught. At the very least, solo business owners should test out Everlance’s free revenue and expense tracking features. The app eliminates most paperwork headaches. I absolutely recommend Everlance to any solo business owner who wants to focus on their business and not on their expense reports. Have you ever used a program like Everlance? In the gig economy, a product like everlance makes a ton of sense. Most people hustling to make that extra dollar for saving could use something to make sense of all that time and money expended. This was a very useful highlight of Everlance, thanks for posting this. It’s so important for side hustlers to track those expenses, especially mileage. A lot of times, it’s the difference between profitability or loss.